Facebook is the latest big digital ad seller to release a solution to address moves by browsers to kill third-party cookies. The company is releasing a new first-party cookie option for advertisers, publishers, and developers to measure and optimize Facebook ads and capture analytics data from browsers that block third-party cookies — namely Apple’s Safari and soon Mozilla’s Firefox. Facebook’s new first-party cookie. The company began notifying some agencies and trade groups of the solution this week and emailing all advertisers Friday. 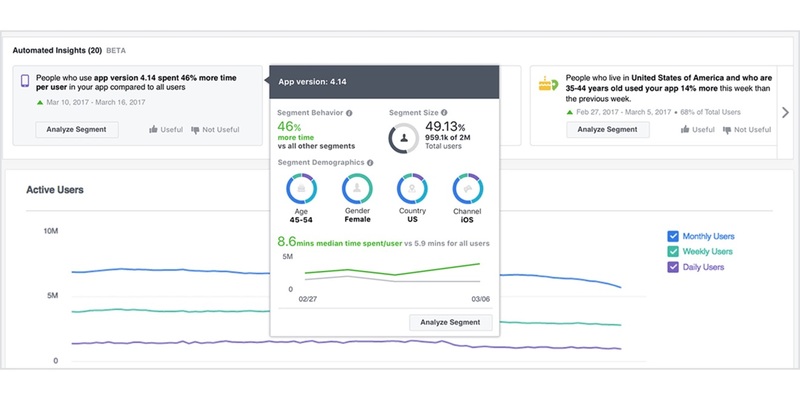 Facebook says the solution will enable continued ad targeting — think dynamic ads, for example, that allow advertisers to show website visitors products they viewed when they’re on Facebook — as well as measurement and web analytics. Browser backstory. To address privacy concerns and user frustrations over rampant ad retargeting, Apple introduced Intelligent Tracking Prevention (ITP) in Safari last year to block third-party trackers from capturing cross-site browsing data for ad targeting purposes. (It released ITP 2.0 in June.) At the end of August, Mozilla announced its Firefox browser will soon strip cookies and block storage access from third-party trackers to inhibit cross-site tracking. The moves are primarily aimed at ad targeting rather than measurement. To maintain analytics, Apple’s guidance tells users to “configure your web analytics to not rely on third-party cookies from domains that don’t get user interaction.” And suggests link decoration (appending strings to URLs) as a way to maintain cross-site analytics and ad attribution. How other platforms responded. Perhaps not surprisingly, Google, the world’s largest digital ad seller, was the first to introduce a solution in response to ITP with a first-party Google Analytics cookie last September. Microsoft followed up in January with its own solution for Bing Ads via auto-tagging the first-party Microsoft Click ID to advertisers’ landing page URLs. Now, Facebook is out with its own solution. How Facebook’s solution works. When a user clicks on a Facebook-served ad, a unique string gets appended to the landing page URL. When there are pixels on the site that are opted- in to share first-party cookie data with Facebook, that URL parameter will get written into the user’s browser as a first-party cookie. The pixels then include the first-party cookie with all events it sends to Facebook. Facebook says first-party cookie solution will be used to enable continued ad targeting, ad measurement and website analytics for traffic from browsers. For advertisers that opt to stick with the third-party pixel, Facebook may do some modelling to estimate conversions from Safari, but details aren’t clear yet. That would be similar to what Google does for advertisers that don’t link their Ad Words accounts to Google Analytics; it uses statistical modelling to estimate and report website conversions that can’t be captured from Safari. Where to manage the setting. Advertisers will be able to choose to set first- or third-party cookies for the Facebook Pixel. Facebook’s first-party cookie settings is located in the Settings tab in Events Manager at the pixel level (under the Measure and Report section of Ads Manager). There is a setting at the pixel level to choose whether to use first-party cookies with Facebook. Timing and what to expect. As of October 5, businesses will be able to sign into Events Manager to edit their Facebook Pixel cookie settings under the detail button of a pixel. Businesses have until October 24 to opt out if they don’t want to use the first-party pixel at all. After October 24, the first-party pixel will become the default for new Pixels, but new and current advertisers will be able to change their selection at any time.